2 Is Roxylean Effective as a Weight Loss Supplement? Roxylean is a weight loss supplement targeting at bodybuilders and people with active lifestyle. 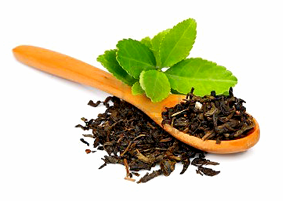 It contains the usual weight loss thermogenic agents such as caffeine, bitter orange extract and yohimbine. BPI Sports claim Roxylean it is the perfect weight loss supplement. How true is this claim? How effective is Roxylean? Can anyone use it as a weight loss supplement? Read on to find out. Roxylean is a weight loss supplement manufactured by BPI Sports, a popular brand in bodybuilding supplements. It is available in capsules and formulated with proven weight loss herbs and vitamins. Although Roxylean is marketed to athletes and muscle builders, it can also be used by anyone who wants to lose body fat quickly and maintain a lean, fit body. The manufacturer describes Roxylean as a medi-biological weight loss supplement containing the exact ratio of ingredients to promote and support weight loss. The active ingredients work by suppressing appetite and by actively burning up fat stored in the body when it increases metabolic rate. However, Roxylean is also described as very strong and even the manufacturer does not recommend it for everyone but only for those who partake in high intensity exercise and regularly too. The dosage of this weight loss supplement is an indication of the need for specialized use. The dose recommendation is a single capsule daily taken on an empty stomach in the morning. Even for active people, Roxylean is not meant to be taken continuously for more than 8 weeks, and the recommended daily dose must not be exceeded. It is not recommended for children and teenagers, and it should not be taken by pregnant and lactating women. In addition, people who are already placed on other medications should consult their physicians before taking Roxylean. Because Roxylean contains stimulants, care should be taken when combining it with other stimulants and with drugs that affect the cardiovascular system. Since Roxylean contains caffeine, other sources of caffeine, either dietary or supplemental, should be avoided while taking this weight loss supplement. Caffeine is only one of the active ingredients of the proprietary Roxy blend. Other ingredients of this blend are Citrus limonum (whole plant), Capsicum annum, Adhatoda vasica (leaf), Pausinystalia yohimbe (bark), Hydrastis canadensis (root), Salix alba root extract (as Salicin), Scutellaria baicalensis (root) and Rauwolfia serpentina (root/rhizome plant). Besides this proprietary blend, Roxylean also contains the B vitamins, thiamine and niacin. The inactive ingredients in Roxylean are gelatin, magnesium stearate, FD&C Blue No. 1, FD&C Red No. 3, FD&C Red No. 40, FD&C Yellow No. 6, and titanium dioxide. Roxylean contains 185 mg of thiamine in the form of thiamine disulfide. Thiamine is also known as vitamin B1, a water-soluble vitamin and an essential nutrient. Because vitamin B1 is not produced in humans, it has to be obtained from diets or supplements like Roxylean. Thiamine is important for a long list of biochemical reactions in the body. It is especially known as the coenzyme for many important enzymatic reactions. For example, thiamine pyrophosphate, a form of the vitamin, is required for the breakdown of sugars and amino acids. Thiamine deficiency can cause very serious symptoms. It causes beriberi and affects both the cardiovascular system and the nervous system in other ways. With respect to weight, vitamin B1 deficiency may cause weight loss but it also results in the wasting away of nerves and muscles. Therefore, the vitamin is needed in Roxylean to support weight loss in order to maintain a healthy weight without sacrificing the muscles. Lastly, one of the presentations of beriberi is edema or the retention of fluids in the body. The thiamine in Roxylean can help reduce water weight even as the other active ingredients accelerate fat burning. Niacin is another B vitamin. It is also known as vitamin B3 or nicotinic acid. The amount of niacin found in Roxylean is 30 mg which is more than the daily recommended intake of the vitamin. Niacin is one of the five vitamins whose deficiencies cause very severe diseases. Vitamin B3 deficiency causes pellagra. With regards to weight loss, niacin plays a dual role in Roxylean. First, it increases HDL (high density lipoproteins or “good” cholesterol) levels while reducing LDL levels (low density lipoproteins or “bad” cholesterol). It does this by binding to and activating GPR109A, a receptor that is involved in the breakdown of fat in the adipose tissue. Paradoxically, niacin binds to this receptor and prevents the breakdown of fat stored in the adipose tissue. When the adipose tissue fat is broken down, the released fatty acids are turned to very low density lipoproteins (VLDL) which are then converted to LDL. Therefore, niacin prevents the breakdown of some kinds of stored fat in order to improve cardiovascular health. This is essential to losing weight healthily. On the other hand, niacin can also drive the breakdown of fat. It does this by increasing the production of steroid hormones in the adrenal gland. In this way, niacin acts indirectly like a thermogenic agent because the steroid hormones increase the rate of metabolism and energy use by breaking down fat to fuel increased muscular activity. Caffeine is a popular weight loss supplement. 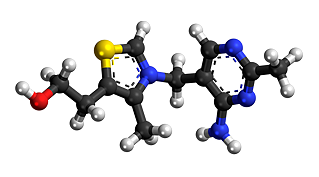 It is a xanthine alkaloid commonly found in tea leaves, coffee seeds, kola nut, guarana and yerba mate. It is also the stimulant of choice in energy and health drinks. Caffeine contributes to weight loss by acting in and out of the central nervous system. It increases the syntheses of excitatory neurotransmitters such as norepinephrine, epinephrine and dopamine. It does this by antagonizing adenosine which is an inhibitory neurotransmitter. Caffeine also increases the breakdown of fat. It uses this pathway to generate energy instead of utilizing stored glycogen. This means that caffeine can meet the body’s energy needs (by burning fat and promoting weight loss) without increasing blood glucose levels through glycogen. Therefore, caffeine can reduce food cravings while still unlocking energy for the body. Lastly, caffeine has a diuretic effect which can contribute towards the elimination of water weight. All of these benefits directly lead to weight loss and even while the muscles are working to burn their store of fat, caffeine improves their endurance and reduce fatigue. 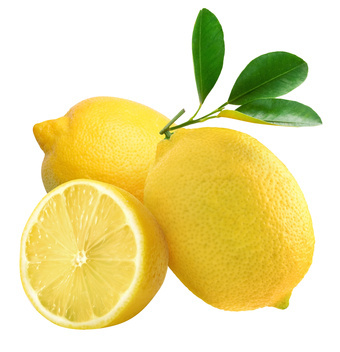 The whole plant herb extract of Citrus limonum or lime is used in Roxylean. As a fruit and member of the citrus family, lime is rich in dietary fiber and vitamin C. The inclusion of lime extract in Roxylean represents a shift in weight loss supplements from ephedra to bitter citruses following the FDA ephedra ban in 2004. Citruses such as lime produce the same weight loss benefits as ephedra. They increase metabolic rate and are all-round thermogenic agents. However, these citruses are only recommended for short-term use, and this active ingredient is one of the reasons Roxylean is only to be used continuously for no longer than 8 weeks. Capsicum annum is a species of pepper. The active ingredient in this food herb is capsaicin. The weight loss potential of capsaicin is moderate but it can contribute to the other active ingredients in Roxylean. Capsaicin may cause weight loss by increasing metabolism. However, It mostly prevents the regaining of lost weight. Adhatoda vasica is also known as Justicia adhatoda. It is medicinal plant native to India, Pakistan, Nepal and Sri Lanka. Roxylean includes the leaf extract of this plant. Of the several alkaloids found in the herb, the most important is vasicine. Vasicine is a cardiac stimulant with comparable activity to theophyliine, a related alkaloi found in coffee. Therefore, it is a thermogenic agent can increase the body’s metabolic rate. However, vasicine is only a weak cardiac stimulant and it is more renowned as a drug candidate for treating bronchial asthma. Pausinystalia yohimbe is also known as Corynanthe yohimbe, a tree native to Africa. The part of this plant used in traditional medicine is the bark. Of the 56 alkaloids in the bark, the most important is yohimbine, a stimulant and an aphrodisiac. Rauwolfia serpentina is a flowering plant native to Asia. It is also known as snakeroot and the part of the plant used in traditional medicine is the root or rhizome. 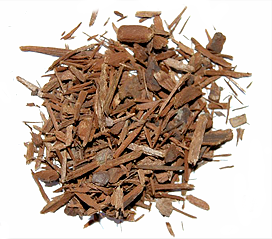 Rauwolfia is an important herb, one of the 50 fundamental herbs in Chinese medicine. It contains a number of alkaloids including yohimbine. Several studies have investigated the ability of yohimbine to promote fat loss, and the results show that the alkaloid is indeed active. In one study published in the journal, Research in Sports Medicine in 2006, the researchers fully demonstrated yohimbine supplementation significantly reduced weight by promoting fat loss in a group of athletes. Besides serving as a direct stimulant that increases metabolic rate, yohimbine also increases fat loss by binding to the alpha-2 adrenergic receptors in the adipose tissue. In this way, yohimbine encourages the body to use up the fat stored in the adipose tissues. Studies also suggest that yohimbine causes the vasodilation of the blood vessels supplying the adipose tissues. By increasing blood flow to and from these tissues, yohimbine promotes the mobilization of the fat stored there and the redistribution of the metabolic products of the fat breakdown. When yohimbine is combined with low-caloric diets, it prevents the body from slowing down the sympathetic nervous system in response. This means that yohimbine keeps the body from reducing its energy consumption when placed on a new diet with lower calories. Instead, yohimbine keeps the sympathetic nervous system going so that it can burn the fat stored up to generate new energy to meet the body’s needs. Therefore, experts recommend that the best way to take yohimbine is in the morning a few hours before breakfast while the body is still in a fasting state. The multiple active ingredients of Roxylean containing yohimbine is the reason the weight loss supplement is recommended to be taken on empty stomach in the morning. Hydrastis canadensis is also known as goldenseal and orangeroot. It is a perennial plant native to the eastern border of Canada and the United States. Goldenseal is distinguished by its purple, hairy stem and its yellow rhizomes. Its medicinal properties include anti-inflammatory, antimicrobial, laxative and emmenagogue. Although this herb is reputed for its antimicrobial properties, it is also used in alternative medicine as a digestive aid. As a digestive aid and laxative, the goldenseal in Roxylean may help improve the utilization of foods. It may bind and eliminate fats before they are absorbed and stored in the body. Salix alba refers to the willow tree native to Europe and Asia. The bark of the tree is the part used in alternative medicine, and the active ingredient of the herb is salicin. Salicin is a phytochemical with a rich history. It is the compound from which aspirin is derived. Salicin is usually taken to relieve aches, pains and fever. In Roxylean, salicin can be used as a pain reliever as users undertake high intensity exercises to promote weight loss. Scutellaria baicalensis is also one of the 50 fundamental herbs in Chinese medicine. It is a flowering plant also known as Baicall Skullcap. The active part of this herb is the root. Some of the active phytochemicals in this herb are baicalin, baicalein and beta sitosterol. Its weight loss benefits is minimal. Is Roxylean Effective as a Weight Loss Supplement? BPI Sports market Roxylean as the perfect blend of weight loss supplements. Its strength lies in stimulants that can increase the rate of metabolism. However, this weight loss blend is not as perfect as advertised. For one, the weight loss potential of some of its ingredients are only minimal. Granted that the additive effects of many of these can add up to be significant. Still, most of the weight loss potential lies with caffeine, lime extracts and yohimbine. 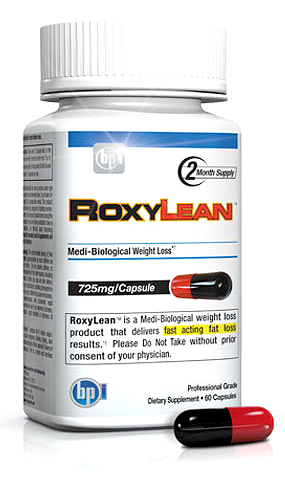 There are even a few active ingredients of Roxylean that can promote weight gain as much as weight loss. Rauwolfia serpentina is one example of this. Although this herbs contain yohimbine which can promote weight loss, it also contains reserpine which is known to cause weight gain. Still, Roxylean is an effective weight loss supplement as long as its directions are followed: only capsule per day; taken on empty stomach and in the morning; and combined with an exercise regimen of at least moderate intensity. Overall, Roxylean is not for everyone. Those who fit its target market, however, will find it very effective for suppressing appetite, for supporting intense exercise and for promoting weight loss. Others will only derive moderate benefits from this supplement.